After All, We Live Here, Too! The 85 employees and management of North Hills Toyota are part of your community. We live and work here, just like you. And we care about those in need. We invite you to join us! Help us build a stronger community. It's as easy as clicking on any of the links below to get involved. Two things nearest and dearest to our heart - CHP and kids. This initiative provides care for kids regardless of parents' ability to pay. And we can't think of anything more important than taking car of our kids. 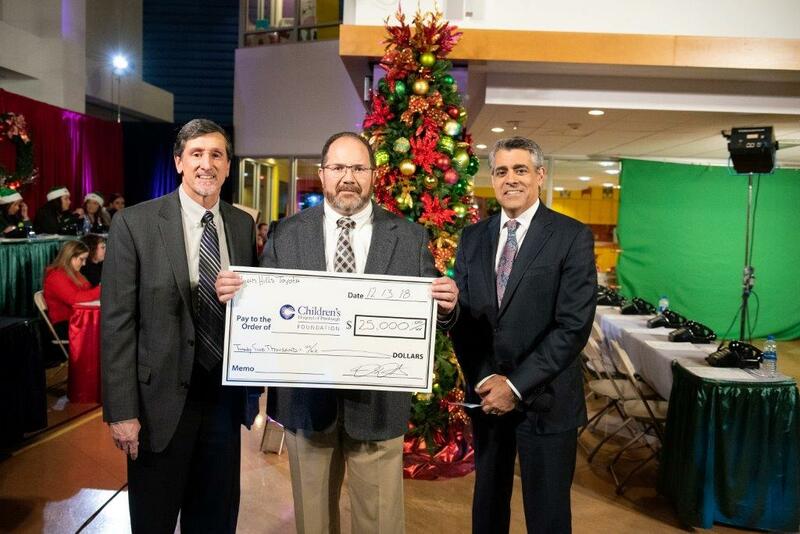 That's GM Duane Guthrie with our check for $25,000, flanked by our Controller Gary Skutnik (l) and KDKA's Ken Rice. 1.85 million people in PA lack sufficient food and nutrition. Too many of those are right here in the Pittsburgh area. $1 buys 5 meals! And Network of Hope is always in need of diapers, detergent, paper products, and other staples. A Healthy Community is a Happy Community. Give Hope! Hundreds of local families face daunting childhood illnesses. By joining us in support of CHP, you're helping families cope and become healthy and reunited. 3rd Annual "Wine to Remember" June 11, 2019 at Narcisi Winery. Last year over 250 people joined us for this fund-raising and awareness event. Help families affected by Alzheimer's. We're on board. How about you? North Hills Toyota recently became a contributing sponsor to the Make A Wish Foundation. If you're not familiar with what our local Pittsburgh chapter does, visit their website. A note of caution, though. The stories will bring a tear to your eye, guaranteed. There are all kinds of ways to help and donate. You can even donate air miles. Orchardview Stables in Wexford. 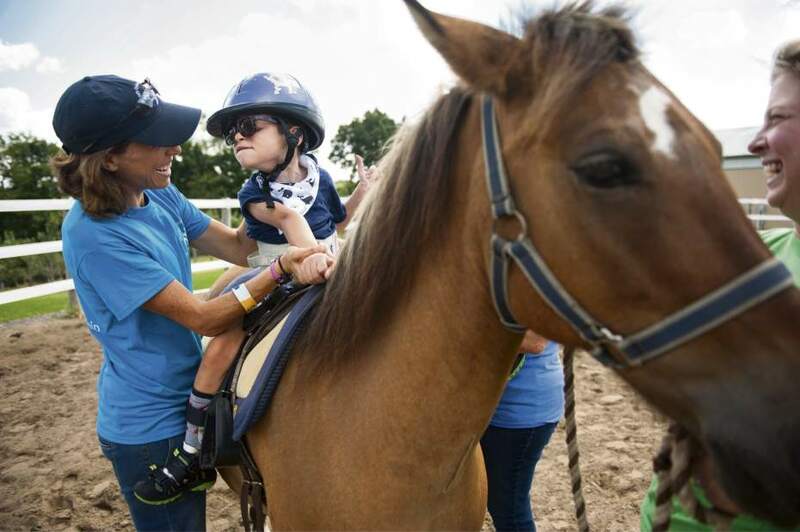 Miraculous things happen here every day as special needs people of all ages, kids to adults, become more confident and happier through riding and grooming activities. It's true grass-roots community betterment.